After semi-successfully stumbling my way around Photoshop and Elements for a few years, I finally came to a point where every time I went to edit my photos I would look at my computer screen like this…. And then I discovered Lightroom. Three years ago I bought myself a copy of (affiliate link) Adobe Lightroom, and everything changed for me in the photo-editing department. I took one class, and suddenly I was off to the races. It changed EVERYTHING about the way I edit pictures. I will forever be singing the praises of Lightroom’s batch imports, batch edits, batch exports, and non-destructive editing. The latest updates to Lightroom 5 is BY FAR my favorite. 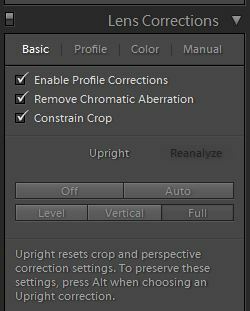 Remember in my last Lightroom editing tutorial how I went through a lengthy explanation about how to straighten your pictures in Lightroom and then my example photo was STILL NOT PERFECTLY straight? How’s that for a big fat fail? Well, that issue has all been taken care of for you in the new version! When you are in the Develop mode scroll down until you see the drop-down called “Lens Corrections”. 2016 NOTE: This can now be found under the “Transform” module. Now hit “Auto” button, and watch your picture magically straighten itself out. Like this! Another really cool feature is to hit “Vertical” or “Full” below that and watch you picture pop out of the screen right at you. Here is a before and after showing what I’m talking about. This is the exact same photo, but it got straightened up and tilted forward a little bit with just one click in Lightroom. It’s hard to put into words how this feature works, but it does it in a split second with zero thought on my part. And it comes out perfect 99.99% of the time. Cannot ask for much more than that! Since I’m am a DIY/ Home blogger, this newest feature is perfect for me. I absolutely LOVE the new straightening tool feature in Lightroom 5 for all of my interior (and exterior) architectural photos. I don’t have to worry about getting the camera perfectly aligned, I can let the editing software worry about that later with the click of a button. Read more Photography Tutorials here! Disclaimer: Adobe provided me with a free copy of Lightroom to review, along with two free copies for you guys. This review was written in my own words and contains 100% my own opinions. I can’t wait to try Lightroom 5!!!! I would LOVE this! So fun! 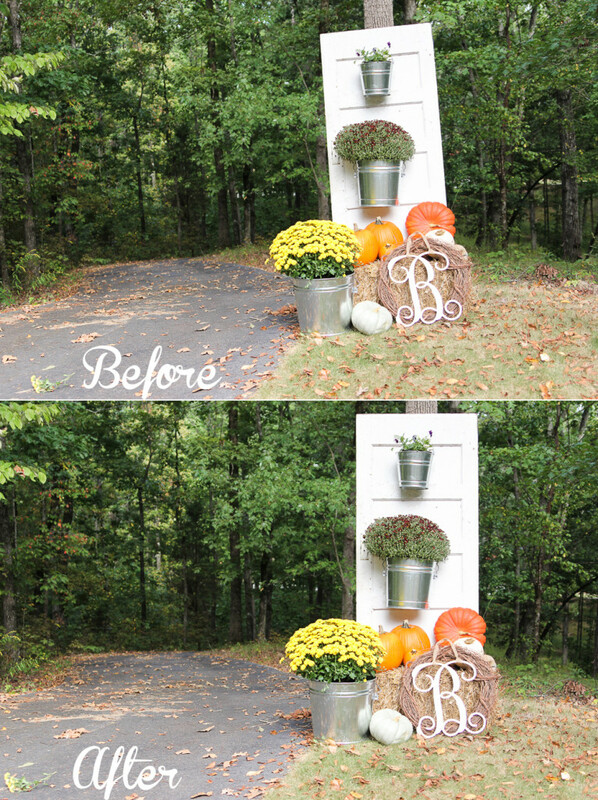 I would love to have an easier way to edit photos than my Photoshop Elements. It’s a wonderful tool, but I’m always having to figure out how to use it. Just started blogging and this would be great to fix up my photos. Thanks for the thorough review! I’ve been using the free sample of Lightroom now for a week and I love it! I have a lot to learn and I would love to win a copy! Thanks! I would LOVE to try Lightroom!!! “Batch” is music to my ears. Right now I edit each photo in photoshop. You’re right it is a long process. Sounds like I would love the lightroom 5. I have heard only great things about this program! I want to win! Lightroom has been on my wish list for some time now! Thank you for offering the giveaway. Hi Beth! Thanks for the chance to try LIghtroom. I have grown in my photo editing skills over the past year using free software, but I aspire to create better photos such as those seen on your blog! This would help my fledgling business so much better! I’m a calligrapher and I’m trying to enter into the digital realm! Thanks for sharing. I NEED this software! I need this more then you know!!!! So hope i win! 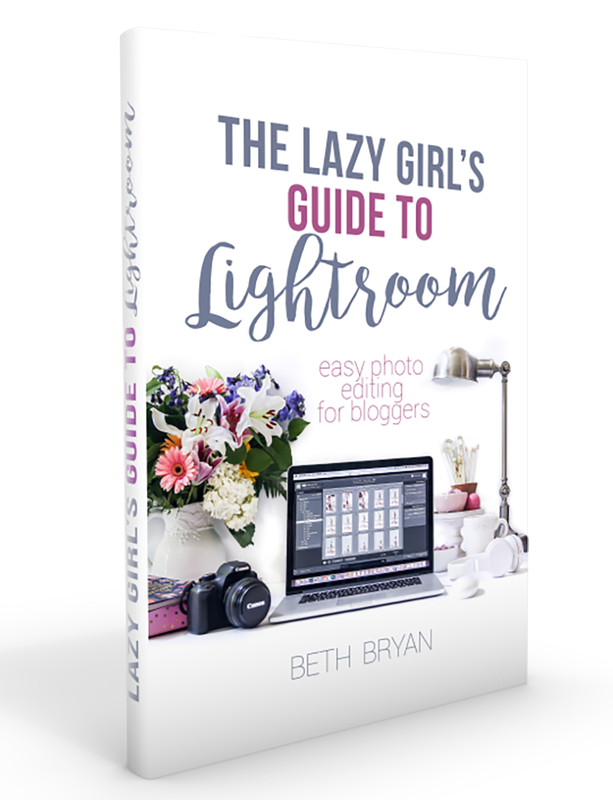 How cool – your demonstration is amazing – I’m convinced I need Lightroom! I need Lightroom in my life! CS5 and I have an on-again-off-again relationship. Lightroom needs to be my sure thing! This would be so awesome!! Thanks for the generous opportunity!! I’m a big fan of PSE, but I would love to get a chance to learn Adobe Lightroom. Thank you for the tutorials – I’m pinning now in the hopes that I win! I LOVE this blog… I just found it! And, I would love, love, love to win Lightroom 5. I need a simple editing program! Fingers crossed! This has been on my wish list for some time now. Can’t wait to hear the winners! Light my photo, light my photo, oh yeahhh. Those pictures look great! Would love to be able to get a free version of lightroom! Thanks for the giveaway!!! Hi Beth! I would love to explore Lightroom! I hope I win. All the Adobe programs are my daily staples. I couldn’t survive without them. And I say that in the least dramatic way possible. Hi, Beth- I love your site, style, and the quality of your writing. Yes, being blog junkie, I am drawn to the blogs that are not only well written but convey a thoughtful, kind presence. Yours does this…and well. I have been looking for some great mommy blogs for a couple of weeks now. I accidently stumbled upon yours on Monday and LOVE it! I also LOVE your giveaway! I have Lightroom 3 and would love to upgrade to 5!